Mr Liu Tongbo is the chief representative of London Development Agency's Beijing Office. He believes many Chinese cities and London can share lots of experience in buidling low carbon cities. Host: London and many Chinese cities have some similarities, facing climate changes coming with urbanizations. Mr Liu, How can London overcome these challenges, while still achieving low-carbon goals? Liu: Yes. Actually, London is the biggest city in the Europe. It has eight million populations and faces similar problem as Beijing, such as over population, the high price of land, the shortage of the housing, fast-growing new immigrations. Maybe you know, since the European Union opened up boarders, a lot of immigrants from the East Europe can come to UK to study or work. In this case, London has to handle these problems. Host: London did lots of job before. It probably took decades. 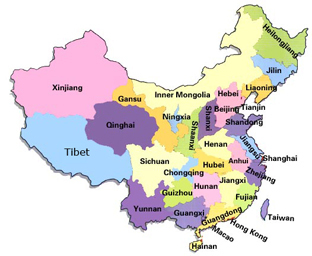 Last August, China launched a pilot low-carbon program in five provinces and eight cities. Which kind of issues will China come across? And is there any experience that China can learn from London? Liu: Yes. I think China and London can share lots of experience. First of all, China could learn from London in terms of low carbon technology and control the size of the city. Because now the fast development of Beijing brought fourth ring road, fifth ring road, sixth ring road and maybe seventh ring road in next five years. It's like a pizza just grows up. All the central government, Beijing municipal government, big banks and companies are overcrowded. London has a 1,000-year history. During the industrial revolution, London experienced very rapid development. In the earlier 20th century, London is the biggest city on the planet. That time is around 1900, before the World War I. At that time, London has one million populations. But after 100 years, London now has eight million populations, among which 70 percent is not born in London. They are immigrants, not only from the UK, but from all over the world. London is a real international city. Actually, there are two biggest immigrant cities on the planet: the first one is London, and the other is New York. Only New York can compete with London in term of the internationalization. The policy of London is to control the size of the development of the city, and then drew a so-called red circle. If you study the London map, The GLA (Great London Authority), a London government organization to coordinate environment urban-planning and economy development with London boroughs (districts). London has 32 boroughs, if my memory is good. The policy of GLA and the mayor of London are to control the development and the size of London, and keep the percentage of green space. That policy is not short term, it became a London law, which one cannot breach. This is one thing that London can share with Beijing. For example, if a new mayor comes to London, he/she cannot change the law. In London, lots of urban plans are not controlled by the mayor, if you want to build a new building, you need apply at least one year before. And you cannot change the face and the structure of the new building. You have to apply for a permit, which may take one year to get the permit. The permit is issued by the local council and the local experts. Without the permit, you cannot build constructions. This is something Beijing can learn from London. We should have a cultural heritage expert committee to review all the new buildings projects to make sure these buildings and projects are ecological, low-carbon, and energy efficient. Host: Apart from the huge immigrant population, London has a comprehensive and sophisticated public transportation system. In China, large cities are also building some efficient public transportation. Is there anything experience that China can learn from London on this? Liu: Yes, of course. In the London city, driving private cars is very expensive because parking is expensive. Parking in central London could be 10 pounds or 20 pounds per hour, which is 10 times more expensive than in Beijing. For an ordinary family, the only choice is to use public system. I think London has a very good network, as you know, London's subway system was built 100 years ago, as one of the oldest in the world. If you visit London subway, called "tube", you will find the subway, made by 100 years ago, is crowded and small. And some made by 20 years ago is much more modern. I think in this regard, China could share the experience in Beijing. Because China's subway is quite advanced. Especially before 2008, before the Beijing Olympic Games, China invested a lot of new technologies, and highly sophisticated technological teams and engineers, and built huge subway project. To my knowledge, London has a new plan to build a cross-London underground railway from Southwest to the Northeast of London. The construction already start and London is also interesting in introducing China's technology and Chinese fund to ensure this new line is the most advanced by absorbing some new technology and experience from Beijing. Host: You mean the technology is originated from Chinese company? Liu: Yes. Maybe you are surprised. Liu: Because China's railway constructions, such as high-speed train and tube, have the most advanced technology now. Most of the tube in London was built 20 years ago, but what China did is only five years ago, which means China used the most advanced technology from all over the world to ensure the Beijing new metro line is efficient. I think the people from the Europe are impressed by Beijing tubes. More and more foreign companies are interested to introducing Chinese way, money, technology, and team to work in the Europe to build new underground systems.